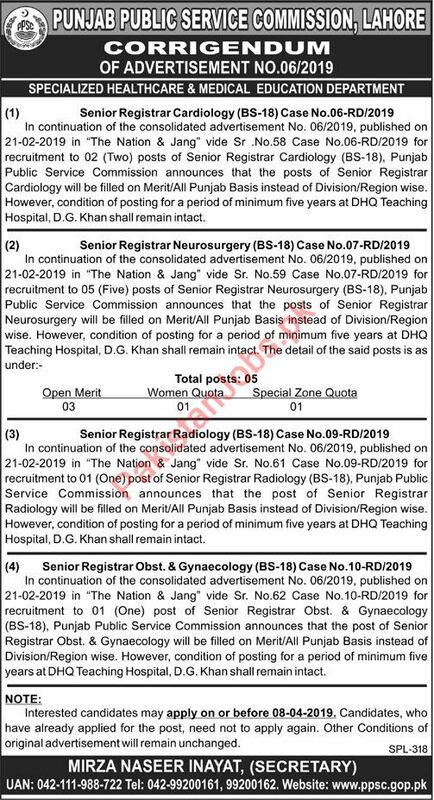 Punjab Public Service Commission PPSC is looking for highly qualified & experienced candidates for the post Senior Registrar Cardiology, Senior Registrar Neurosurgeon, Senior Registrar Radiology in Dera Ghazi Khan. Interested candidates can contact on given details. Get your skills in this ilmkidunya and apply for jobs online.